CTO. Built the Caffè Nero app, advises startups and VCs, founded an AI company. Ships early and often. Appear Here's very clear and focused mission resonates with me because they want to create a world where anyone with an idea can find space to make it happen. They achieve this by bringing together a community of brands, entrepreneurs and creatives in the world's best cities. They already have 80,000+ global brands and creative entrepreneurs, 10,000,000+ sq ft of spaces and 3 offices globally. 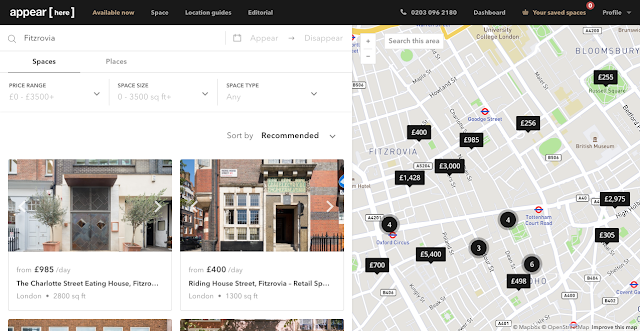 Brands and entrepreneurs can use the Appear Here platform to find and book short-term spaces such as high street boutiques, market, shopping centres and shop shares in London, Paris and New York. 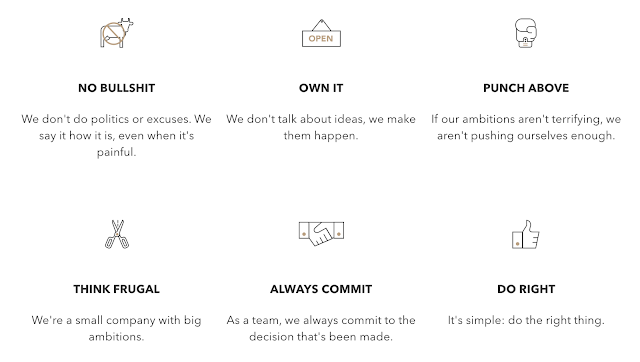 We're hiring talented people to help make this ambitious vision a reality. We're currently looking for Software Engineers and we will soon be hiring for other product and engineering roles as we grow. 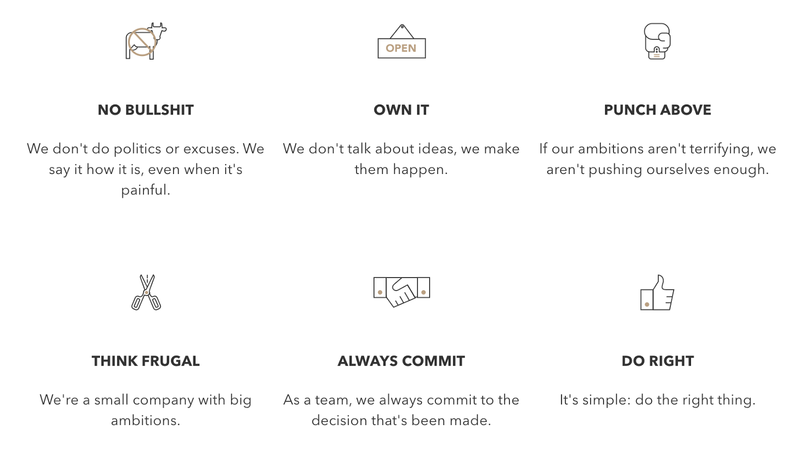 If you're interested in joining me and the rest of the Appear Here team, feel free to reach out to me directly (via Linkedin or Twitter) and we'll have a coffee to chat through what we're up to. I'm looking forward to taking on this new responsibility as Appear Here's CTO and working with the team to drive the business forward. 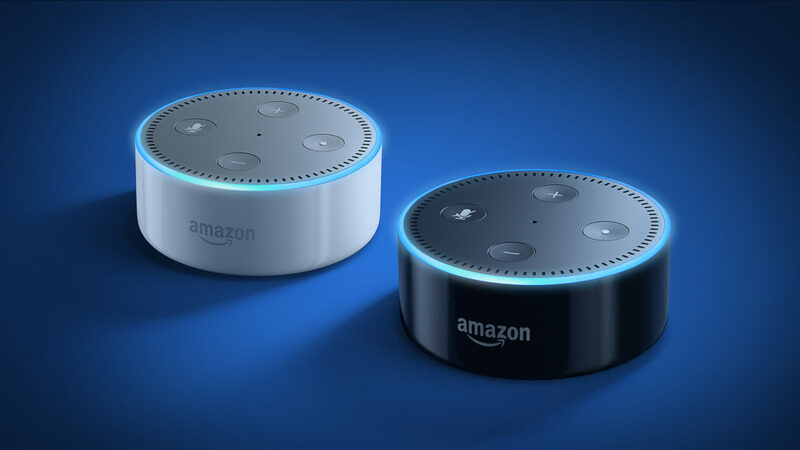 I decided to build my first Alexa skill to better understand the underlying Alexa Skills Kit that powers all Amazon Echo devices to give users this new intuitive voice interface. I was particularly interested in voice-user interface (VUI) design and how easy it would be to go from idea to building and then deploying a new skill. For the actual implementation, I decided to use the new Flask-Ask framework by John Wheeler to build the skill along with using Zappa to deploy my Python code into AWS Lambda. 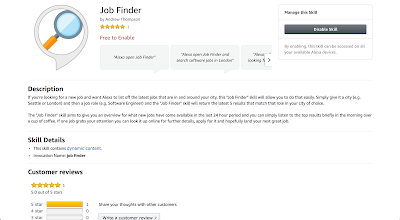 I settled on a simple idea for a "job finder" skill that allows users to answer 2 simple questions that Alexa asks them about which city and job role they were interested in. The skill would then return the most relevant job listings that had been posted in the last 24 hours according to the answers given. 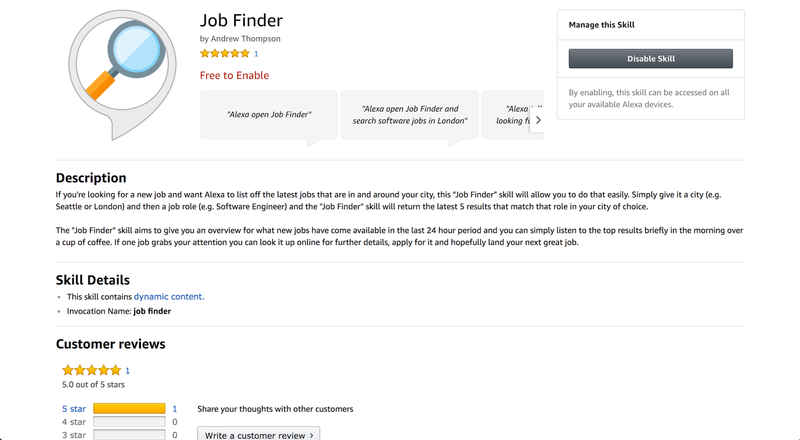 I imagined users waking up in the morning with their coffee in hand and asking their Alexa "job finder" skill to get the latest updates for their ongoing job search. If the skill responded with some particularly timely and relevant jobs, the user could then decide to immediately open their laptop and apply for those jobs or, if not, the user could simply continue to enjoy their coffee and resume the job search later on in the day. I spent a few evenings coding up the "job finder" skill's Python backend and configuring the interaction model (the intent schema and sample utterances) to get it working locally. I ended up with a single job_finder.py file for the bulk of my application logic which is only 116 lines of code and a template.yaml file that contains a number of the templated launch, answer and re-prompt responses which are required for the skill. All-in-all the learning curve was reasonable and most of the learning came from understanding the new type of interaction model set out by the Alexa Skills Kit. I've capped the number of jobs Alexa responds with to a maximum of 5. I think this is a manageable amount but given that Alexa might misunderstand the job role given by the user, it could be frustrating to have to listen to all 5 jobs if they are based on an incorrect interpretation. Therefore I would potentially improve the skill's VUI to either have Alexa repeat the job role specified by the user before all 5 jobs are listed out OR I would pause Alexa after the first job listed and ask the user a yes/no question on whether Alexa should continue or not. I've purposefully kept each job listing very brief so it's easy for users to consume while listening but it might be useful for users to get more detailed information. I could improve the skill's VUI by asking a follow-up question at the end of listing the 5 jobs to know whether or not the user wanted more details about any or all of the jobs listed. I'm using the AMAZON.ProfessionalType intent slot and this is currently only supported in the US. Therefore when the skill is certified by the Amazon team it will only be available on US based Alexa devices. I've asked about UK support for the AMAZON.ProfessionalType intent slots but have not yet received information about when UK support for it will be available. Analytics are very important for knowing what is and is not working from a user's perspective. I often use tools like Google Analytics for websites and Mixpanel/Amplitude for mobile apps which have been very insightful to better understand user behaviour. For my Alexa skill, I'd like to add in something like Dashbot analytics to get a window into what users are and are not doing with the skill. Most importantly I would like to find ways to improve the VUI for subsequent invocations of the "job finder" skill. If a user has already performed a prior job search then I'd like to be able to have a search saved against their user profile and then have the skill look it up and ask the user whether or not it should be re-used. 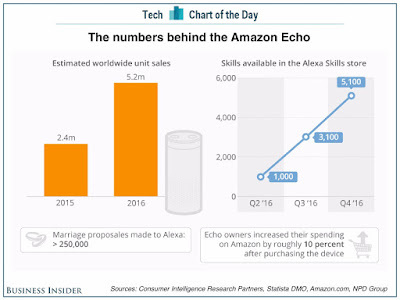 This will reduce the number of questions Alexa asks the user upon each new "job finder" skill invocation. Such functionality can be accomplished by identifying users by their UserId obtained from the session and then querying a database for prior jobs searches to re-use. I mentioned implementing analytics within the skill previously. I've since integrated VoiceInsights analytics from VoiceLabs.co to begin receiving data for individual and aggregate user sessions across metrics such as usage, pathing, speech and retention. I'm finding it more valuable compared to Alexa's skill metrics data that are provided by default. On June 23rd, 2017 AWS released the final podcast in a 6 episode series titled AWS Startup Stories. The series of podcasts cover a range of topics from startup fundraising (Crowdcube, LocalGlobe) to scaling a startup (Monzo, Starling Bank, Once dating app) and growing and retaining a team (Makers Academy, Yoyo Wallet). In episode 6 Will Bentinck, Head of Careers at Makers Academy and myself, VP Engineering at Yoyo Wallet discuss the ins and outs of hiring for startups and how to retain talent long-term. 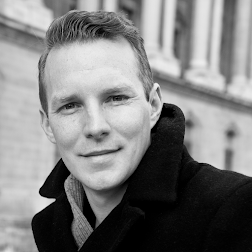 The 30 minute podcast was hosted by Darren Mowry, Head of Startup Business Development and Venture Capital at AWS EMEA. 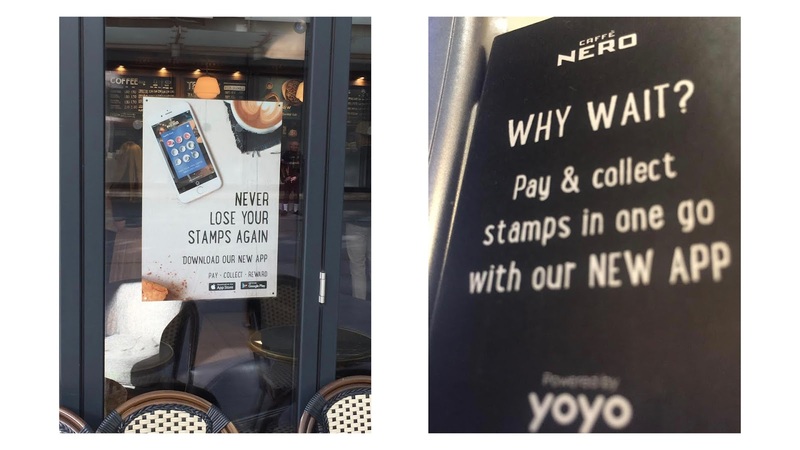 On April 10th, 2017 my team and I at Yoyo Wallet launched the Caffè Nero App across the UK and Ireland enabling a digital payment and loyalty experience for millions of Caffè Nero's customers. 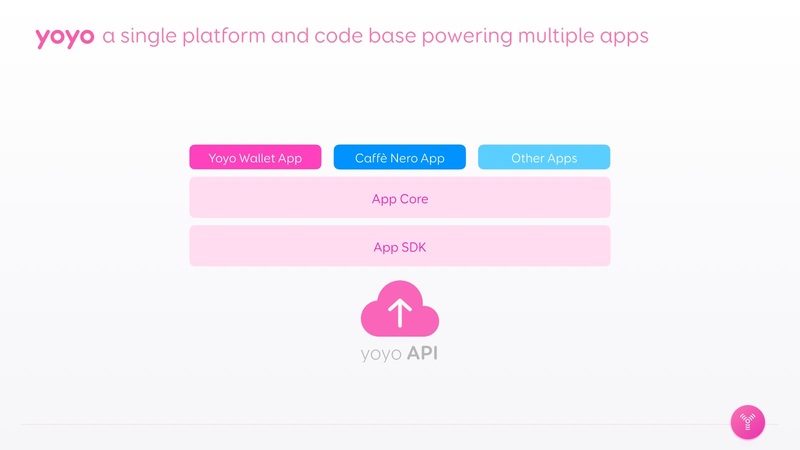 The product engineering team at Yoyo Wallet (consisting of Android, iOS and backend engineers along with product mangers and designers) were responsible for designing, building and shipping the Caffè Nero App for the April deadline, whilst still continuing to improve and maintain the Yoyo Wallet App which is live across the UK and Europe at many Universities (e.g. Imperial, Oxford Brookes, York), Corporates (e.g. JP Morgan, Guardian, Accenture) and high street stores (e.g. Planet Organic, independent coffee shops). Nero kicked off a number of marketing campaigns after the release of the app to raise its profile, including posters and collateral in-store (see above) and email campaigns. 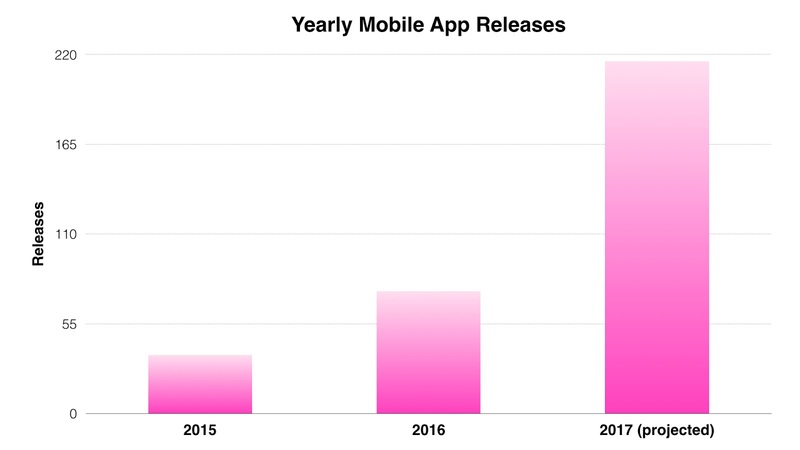 On launch day and the days since we've seen a surge in registrations for the app which resulted in the app obtaining the top ranked spot in the Apple App Store for the Free Food & Drink category (out ranking other apps such as Starbucks, Costa, UberEats, Nando's and Just Eat to name a few). Off the back of customers downloading, registering and using with the app to pay and collect stamps, we've received mostly 5 star reviews making us the top reviewed app in the category (As of April 27th we've received a total of 395 iOS and 416 Android reviews with ratings of 5.0 and 4.7 respectively). Along with positive user rankings, we've also maintained a very high quality threshold shown by our crash-free session rates which are at 99.97% and 99.94% for the latest versions of the iOS and Android apps respectively (measured via Fabric's SDK). At Yoyo we ship new versions of ALL our mobile apps to their respective app stores every week without fail on Tuesdays at 3pm for iOS and Tuesdays and Thursdays at 3pm for Android (we follow a release train process). This requires building, packaging and deploying a total of 6 .ipa and .apk binaries across our internal test, staging and production environments along with our 3 testing channels (alpha, beta and live). To manage this complexity effectively we've automated the entire build, package and deployment process for multiple apps by using our own custom mobile CI/CD pipeline built on Bitrise, Fabric, Testflight and our own scripts. It's worth mentioning that we also use a company called Applause for crowdsourced continuous testing of our mobile apps. The service that Applause provides is incredibly helpful and cost-effective in terms of finding many usability issues and bugs across the plethora of Android devices and configurations that are available in the marketplace today. However we do not use their crowdsourced continuous testing service as a quality assurance gatekeeper for pending production app deployments (there is a very specific reason for why we do not use them in this way which I will explain further). Whenever there is a human gatekeeper of quality, I find that developers and their teams often rely on that person or set of people as the main quality assurance mechanism instead of themselves (they are less thorough with their code changes and code reviews and often write fewer automated tests). They effectively offload the burden of responsibility for quality assurance to someone else for the change(s) they are making. This is orthogonal to the idea that each developer is the best person to know what could be most affected by their changes and should therefore assure the quality themselves. At Yoyo we wanted to keep quality high by using Applause but did not want the service to become a crutch for developers to rely on. Therefore we only use Applause in parallel with existing deployments to production. Applause testing never stops any deployment, it merely identifies existing issues and bugs that need to be fixed post deployment and does a very good job at this task. Watch out for trademark checks: One unexpected thing to happen in the 11th hour was when we submitted the Android app to Google Play and it was rejected. We had completed and submitted the iOS app a week earlier because we knew the review process was more stringent and always took longer with Apple. We weren't worrying about our submission to Google Play as it was always seamless due to less checks and balances (or so we thought). This was not what happened in our case, Google flagged the fact that a 3rd party developer (i.e. us as in Yoyo Wallet) were submitting an app with someone else's trademarked branding and so the app was rejected. We had to scramble in the 11th hour over a weekend to get documents signed by Caffè Nero to assure Google that we, as a 3rd party developer, had the right to submit an app that contained Caffè Nero branding. This did delay our Android submission by a few days but luckily we still had enough head room for it to ship on-time. Public wifi with logins can cause headaches: A phone's OS will automatically connect to a public wifi that it has previously connected to when it's within range but the user usually still has to accept the terms and/or re-login to gain full internet connectivity. If the latter does not occur then the user usually assumes they have internet connectivity when the app is open due to the wifi symbol displaying on their phone when in fact they do not have internet connectivity. There are a few ways to solve this by either (1) if the public wifi is within your control make sure certain outbound connections (via IP or domain) are given access even without the need to accept the terms or re-login to the public wifi OR (2) the app displays a "no internet connectivity" warning message so users expect limited functionality until they have fully connected to the internet. Improving mobile architecture and deployment infrastructure upfront was worth it: Given that we had the Yoyo Wallet app and were effectively white labelling it (modifying the UI for Caffè Nero as well as adding some new features), we wanted to approach this intelligently to minimise long-term technical debt. We knew that white labelling Yoyo Wallet could get rather messy quite quickly with multiple sets of apps being created and maintained long-term. Yoyo's mobile team spent time upfront to improve the mobile architecture on both iOS and Android to separate out the App SDK and App Core dependency layers which could be re-used across apps while the UI layer could be modified heavily. We also focused on improving the deployment infrastructure using Bitrise CI and compile time configuration flags within the app so that we could automatically build the different UI versions of the app with the reusable App SDK and App Core dependencies. Although this deployment infrastructure took time upfront to build and configure correctly, it reaped large dividends later in the project as the deadline loomed (it continues to reap ongoing benefits every day with each new commit). Mobile engineers now barely need to think about the Yoyo Wallet or Caffè Nero app deployments, we focus on improving the UI or business logic of the app and the deployments continue to happen automatically each day and in exactly the same way since the start of the Caffè Nero app project. 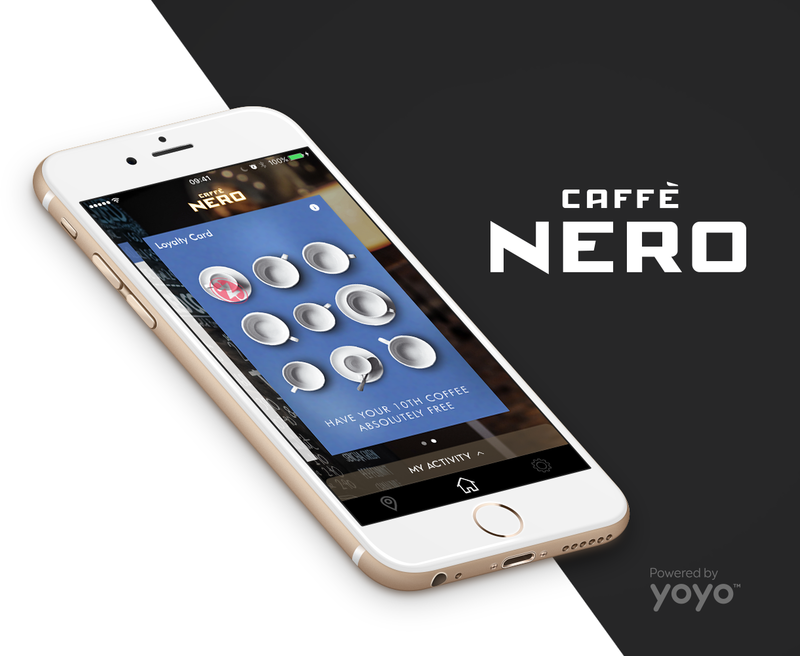 The entire team at Yoyo Wallet have done an incredible job building Caffè Nero's mobile app on time for the April 10th launch. Not only did they meet the deadline but have built an app that is available to millions of Caffè Nero customers. Many of these customers already love the product based on their ratings and are actively asking for more functionality to be added in near the future which is exactly the kind of response a product engineering team hopes for when releasing a major new product into the market. CTO at Appear Here 🇬🇧 🇫🇷 🇺🇸. 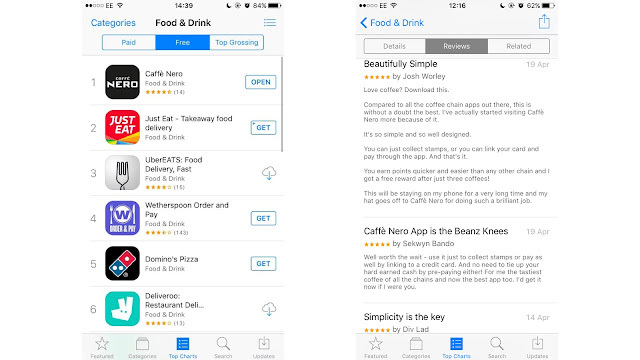 Built the Caffè Nero app, advises startups and VCs, founded an AI company. Ships early and often. Connect with me via LinkedIn or Twitter.